The range of capital markets backed risk transfer tools such as catastrophe bonds, insurance-linked securities, sidecars, collateralized reinsurance entities and other structures, represent an increasingly viable and sustainable alternative to the traditional reinsurance market, according to a new report from Fitch Ratings. For traditional reinsurers, the growth of capital market alternatives offers mixed benefits, being both a potential new stream of revenue should they embrace it but also a form of competition. Fitch notes that use of the capital markets for alternative sources of reinsurance cover has been particularly high in 2011/12. Should the hardening market conditions diminish they would expect less overall utilization of the capital markets than we have seen this year. However they do believe that these alternatives are now both viable and sustainable and will continue to contribute risk transfer capacity to the market. Demand from investors such as hedge funds, private equity and institutional investors should remain high for investment opportunities such as catastrophe bonds and sidecars, according to Fitch. This will likely help to sustain the use of these instruments through periods when the reinsurance market turns and we see softer pricing and rates. The lack of correlation between catastrophe losses and returns on other major asset classes will remain a draw attracting investors to the insurance-linked asset class. Fitch is bullish on the prospects for the cat bond market to continue converging reinsurance with the broader capital markets, noting that 2012 is likely to become the highest total dollar amount of issuances since 2007. Fitch believes that several structural issues will likely keep cat bonds as a niche asset class in the near term, but they see the cat bond market supporting annual issuance of between $5 billion to as much as $8 billion per year, with an outstanding market size of up to $20 billion. The market would be quite satisfied with that sort of level of issuance over the coming years, and it would certainly help the market to sustain itself as sufficiently large to offer a meaningful amount of risk transfer and a valuable investment opportunity. On sidecars, Fitch says that sidecar vehicles offer “A more efficient and flexible preferred option to traditional start-up (re)insurers”. 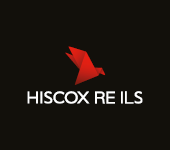 Fitch see’s sidecars as particularly relevant to the retrocessional property catastrophe market where they offer a chance to profit from near-term pricing opportunities stimulated by the occurrence of catastrophe events. On hedge fund backed collateralized reinsurers, which we’ve seen a few of this year, Fitch notes that their long-term future will depend very much on their relative success across a market cycle. While the returns are attractive it is likely we’ll see this approach continue, but hedge fund managers will be watching the market carefully and be ready to pull back their investments should better opportunities arise in other asset classes. Fitch Ratings are positive on the continued growth and evolution of capital market sources of reinsurance and risk transfer. They see them as both viable and increasingly sustainable, particularly the cat bond market, and according to their report these alternatives will play an increasingly influential role in the overall reinsurance market. Fitch Ratings subscribers can access the full report here.